“Owwww, oww, owwwww,” I cried. Meanwhile blood was spilling everywhere in an ever-widening pool around our feet. 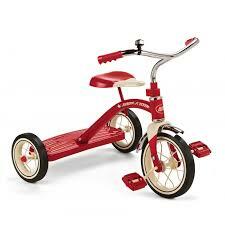 Somehow, as I was showing my new friend how to ride a tricycle, which she had never done before, and I held the trike steady for her so it wouldn’t move out from under her as she sidled on, I had my hand precariously gripped tight around the big front wheel. As she got on she pushed the pedals hard, and before I was ready, my index finger caught in the spokes and chopped the top of it off. Blood was gushing out in great big bloops of deep shiny crimson drops everywhere. I called my trike Big Red because that’s what it was, and my new little friend who had just moved in a couple of houses down from ours had seen me riding really fast down our little San Fernando Valley street in Encino, in those track houses that were built for the soldiers coming home from WW2 and Korea, and I would go tearing down the sidewalk with the white plastic streamers flowing at at least 5 miles an hour. And she wanted to do that too. And even at three and a half, I knew I could teach anybody anything that I knew how to do, so I was showing her. “Okay, okay,” I said, tears in my eyes, holding the bike steady so she could get back on, blood pouring down the sides of the tire and my jeans. I held my finger tight to slow down the spurting blood. I was starting to feel dizzy. But here’s the funny part and what I most remember. It was how embarrassed I was. Embarrassed that I had hurt myself. Shame that she had to stop what she was doing, and that she had noticed. The stupidity of me that I had done something that I couldn’t hide. And somehow that I had wrecked her first tricycle riding experience. So I bit my lip hard and I took my little white t-shirt hem and wrapped it tight around my finger like a tourniquet ,so it would bleed into the t-shirt, and it wouldn’t be so obvious. And this worked well enough. She immediately began to pedal with a great big smile on her face. I let go faster this time. I remember her laughing and laughing as she rode my Big Red, round and round in big weaving circles in the driveway. And I was happy she was happy. This is a true story. The End. This entry was posted in TALES and tagged big red, children, Diana Lang, fairy tales, friendship, red bike, Spiritual relationship, spiritual stories, trikes on July 10, 2016 by Diana Lang.